A 5.7R earthquake has been reported in South of Sumbawa, Indonesia. The epicenter is shown above, some 173km from Waingapu, Indonesia. 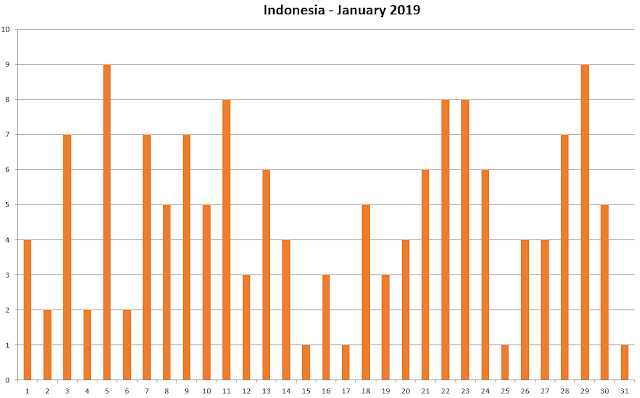 Our FDL Method, produced the published Indonesia Calendar shown below clearly showing the expectation for today for a strong event.